Clear-Shell is a Single Component General Purpose Aliphatic Solvent-Based Polyurethane Clear Coating. Clear-Shell is a Single Component General Purpose Aliphatic Solvent-Based Polyurethane Clear Coating. 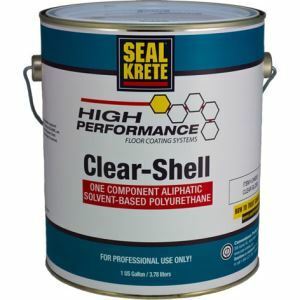 Seal-Krete Clear-Shell provides a strong, beautiful, and maintenance-free finish.